Students leader duo Chandra Prakash Devkota,28 and 20 years old Suraj Thapa have accused Maikulal Balmiki, campus operator of Mahendra Multiple Campus, of intimidating them on August 20. They have accused that Maikulal summoned them for dialogue regarding the padlocking of the Nepalgunj Health Campus. Nepal Student Union on August 16 released a press statement and padlocked the campus in protest of students not being able to sit for the examination. One of the victims, Devkota, accused Balmiki of beating them by hiring hooligans in the name of dialogue. He is undergoing treatment at Nepalgunj Medical College. 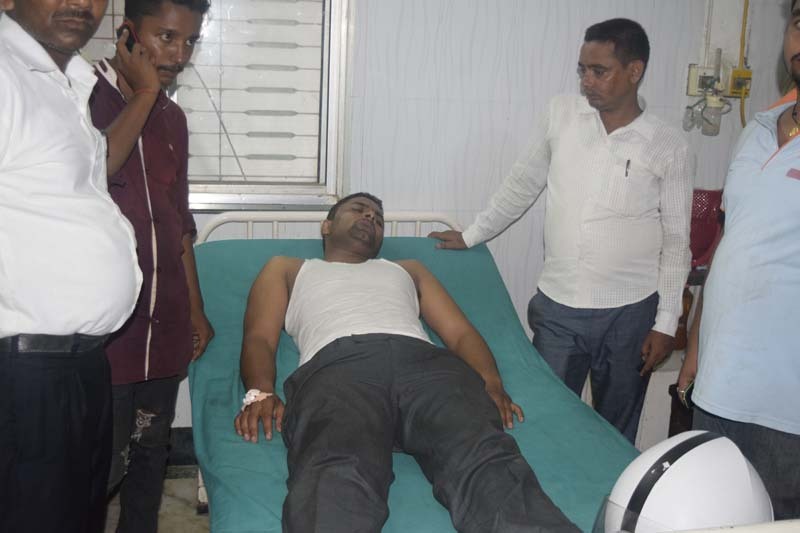 However the accused Balmiki has denied of man handling them and saying that they were injured in a clash with the leaders of NSU. The student’s organization have called on to investigate the case and take action against the accused involved.